I have always enjoyed medium format photography - starting with buying a Mamiya 645 system and getting addicted to the gigantic negatives and the amazing results that film of this size can give. Next stop was a Hasselblad 500CM ad the wonders of 6x6 negatives. I have had some very satisfying results with this camera, especially in black and white. I have always been very impressed by some of the results I have seen other photographers get from the Pentax 67 rig - sort of an SLR on steroids. While the body and the lenses are very much of the same design of the smaller 35mm SLR’s that we are all used to, every dimension seems to be multiplied by 2. Lenses are big and bold, the shutter even makes that of the Hasselblad sound discrete and the thing weighs a ton. It does have an amazingly accurate meter in the prism with the whole spot, centre weighted and matrix metering that we are used to in more modern cameras. That makes it easy to work with. It does only get 10 frames for each 120 format roll, so you have to change film often. Changing film is - frankly - a pain in the arse and the hardest thing about using this whole setup. Maybe I should try 220 format film and get 20 shots per roll instead. 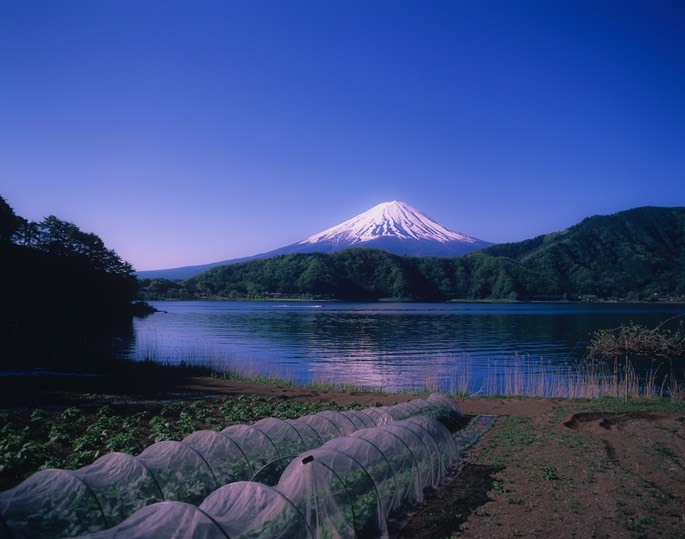 All the photos on this page were taken in my second of ownership of this rig and while on a trip to Lake Kawaguchi - which is at the base of Mount Fuji. I used the internal metering of the body for all of the shots. For the Portra and PRO160/400 films that I used I over exposed the rolls by 1 stop using the exposure compensation dial on the body. Let me know what you think…. The view from across the road from my small hotel. I could not have asked for better conditions to photograph the mountain. This is shot on the ideal positive film for landscapes - Velvia 50. There is almost no grain on this and the colours sing. I also took the same photo with a Fujifilm X-T1 and can say it doesn’t even come close to the drama of this photo. The lens is a SMC Takumar 105mm F2.4, which is probably one of the finest medium format lenses made. 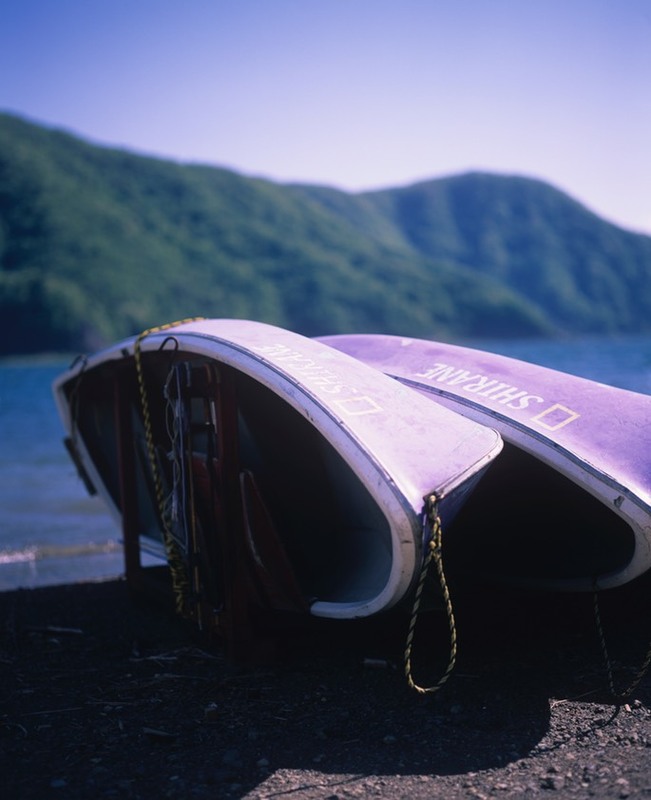 Boats waiting for customers on the shore of Lake Saiko. 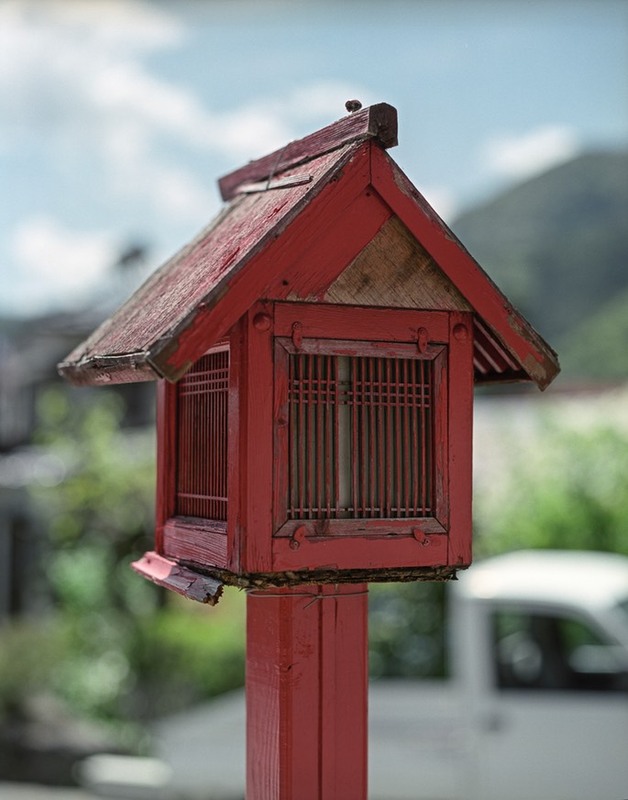 Also shot using Velvia 50. Hard to get shadows sorted just right here. Probably this sort of lighting is better suited to negative film and higher dynamic range. Fields of lavender on the shore of Lake Kawaguchi. Taken the day before the shot above, so the mountain is slightly hidden by clouds. 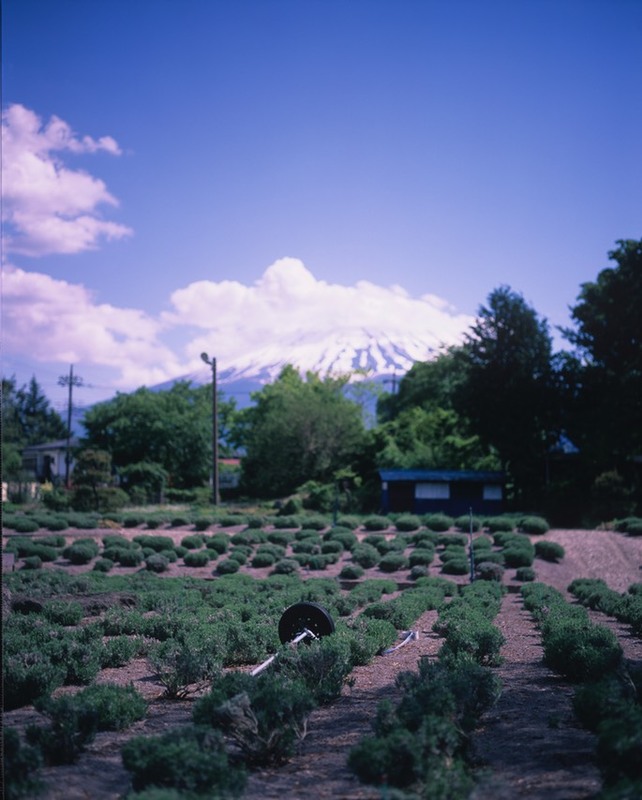 Also Velvia 50. 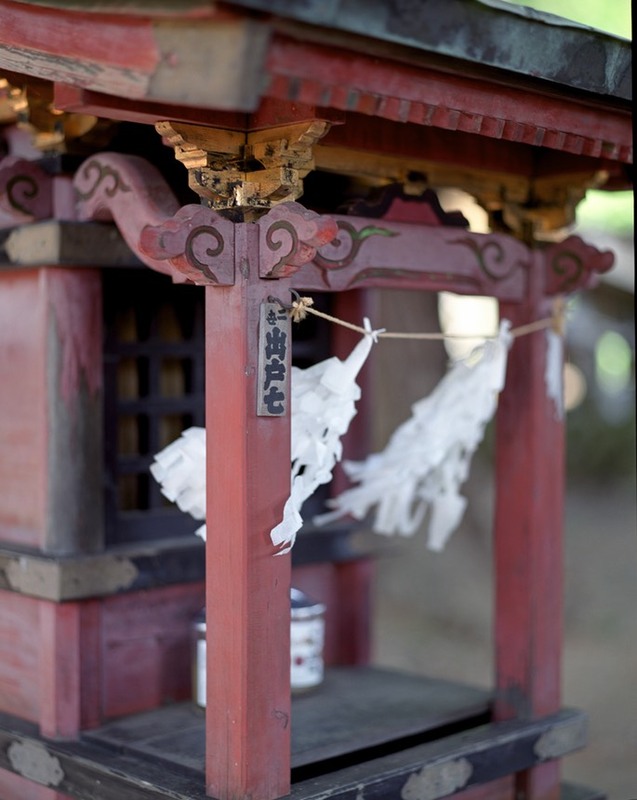 A small shrine on Lake Kawaguchi. This is shot with Fujifilm PRO400H, which is a fabulous film for this sort of this - muted colours and shadows. It was shot 1 stop over exposed to get more density to the image. Entrance of the shrine at Kawaguchi-ko. Also shot with PRO400H - again one stop over. This film is going to become a favourite of mine I am sure. Note this scan is more than 8,000 pixels down the SHORT side. Total is 105 megapixels. Beat that digital….. 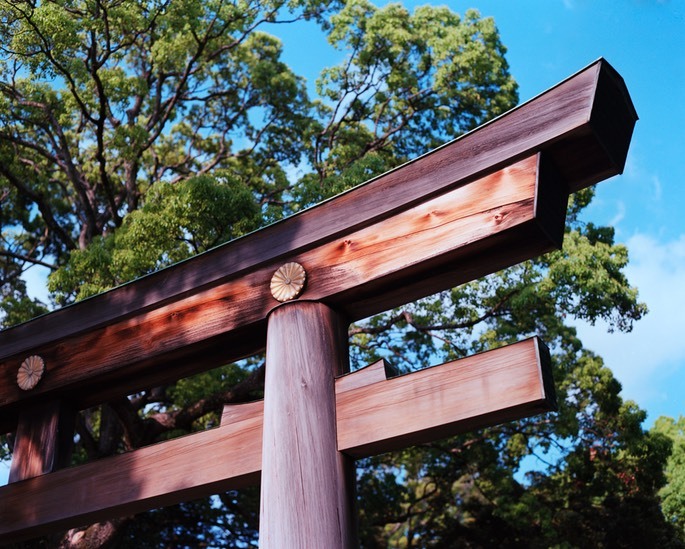 The main gate at the Meiji shrine in Harajuku. This is shot using Kodak Portra 160VC - expired by a few years. This film should be shot at the box seed- like it is here. 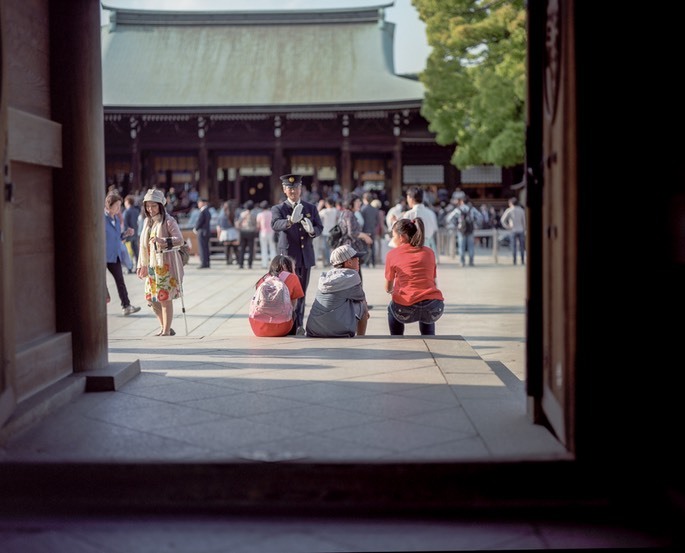 Tourists in the Meiji Shrine - also Portra 160VC - a film not made any more. Portra used to have “VC” and “NC” variants being more contrast and less contrast respectively. Now they have combined into a single - and better - film just called Portra 400. 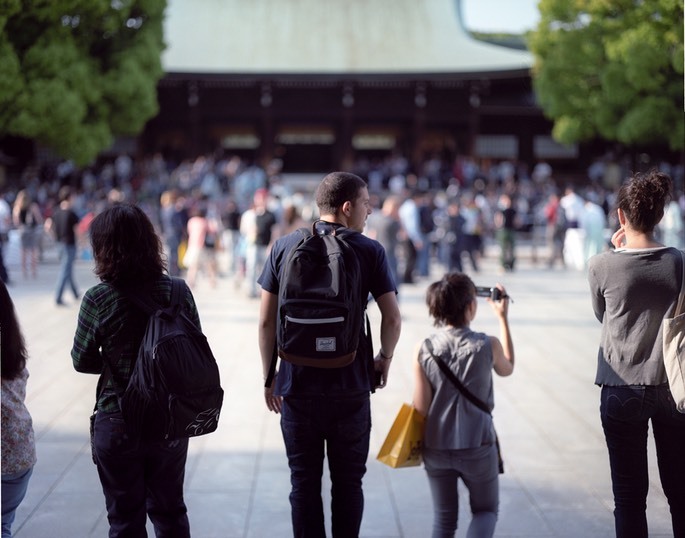 A tourist is stopped in mid-sit from parking herself on the steps of the shrine. Also Portra 160VC. 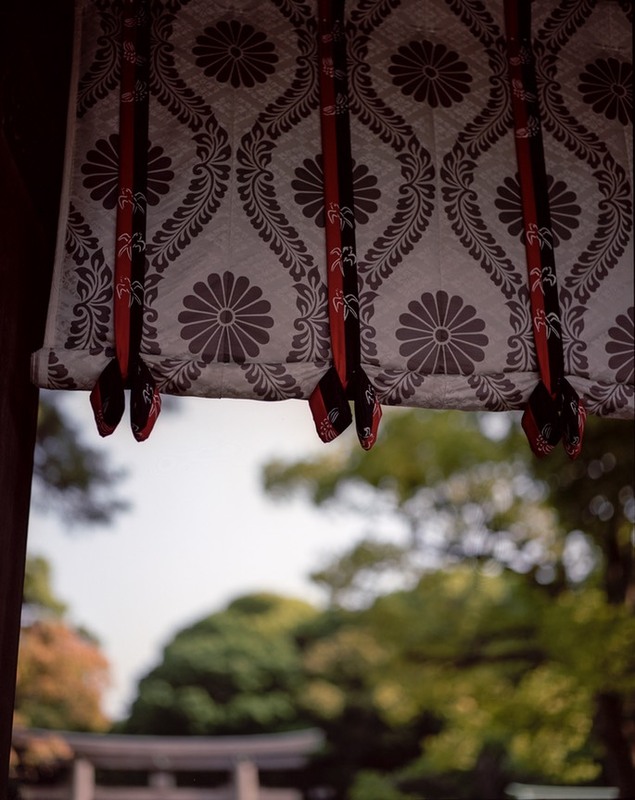 Banner on the main shrine at Meiji Shrine complex. Contrast like this is best handled by negative film. This is also Portra 160VC.